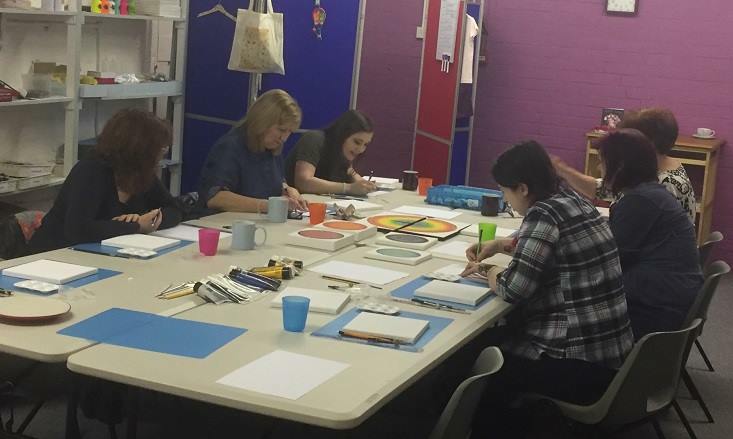 Sooz in The Shed is a craft workshop, based in central Carlisle (Denton Holme). We have a ground floor location which is easy to get to via public transport with street parking nearby. Our aim is to bring crafting to everyone - there is something for all ages and all abilities, from those who like to socially craft to those who want to challenge themselves by learning something new. From courses, to workshops, to private parties, to social meets, we aim to offer what you desire. Please use the tabs down the side to navigate the website and to see all the things we currently offer. You can keep up with our day-to-day happenings by following us on Social Media - links are all on the left hand side.